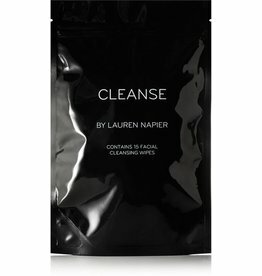 On a flight from Australia to Dubai, Lauren Napier was struck with the idea that would revolutionize the makeup remover wipe and how we CLEANSE our skin. Luxury cleansing wipes are perfect for the world traveler, fitness enthusiast, freshening up or removing makeup. Portable and powerful, gently and effectively removes makeup, pollution and impurities.